I recently saw someone (forgive me, I forget who) comment that 'all history is revisionist' which, it must be said, is probably true, although the proviso should be added that there are certainly degrees of revisionism. Quentin Tarantino's Inglourious Basterds, for example, is certainly at the upper end of the scale, assuming the upper end is the place which dispenses with matters of recorded fact and reinterprets a couple of the salient points from World War Two for its own thematic ends. At times though, it does seem that Tarantino does more during Inglourious than simply meddle playfully with the audience's understanding of history. 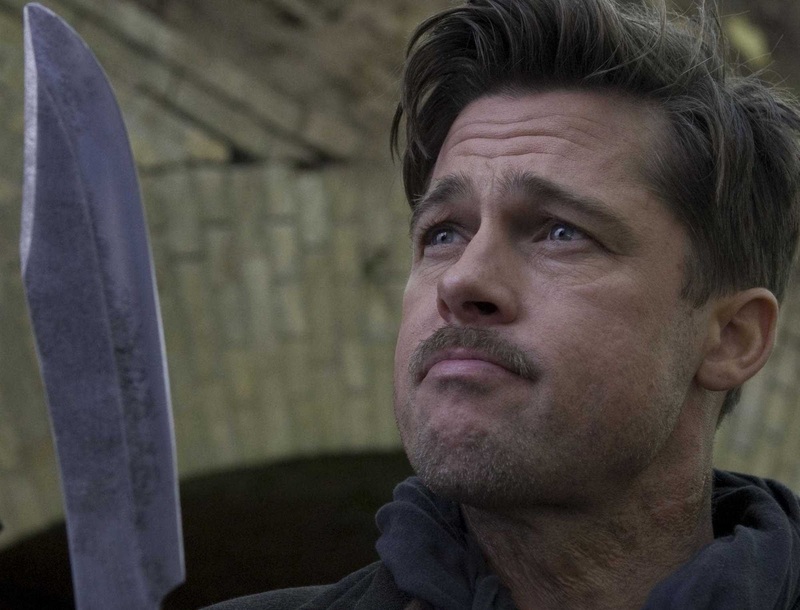 The Jewish hit-squad, led by Brad Pitt's impeccably accented Aldo Raine, seem to be a re-possession of the Jews' war legacy. Hitherto presented mainly as the victims of horrendous crimes against all humanity, Tarantino gives them the explicit role of heroes, albeit vicious ones who cave heads in with baseball bats. The film speaks prevalently on several occasions about rumour, about things being heard or not heard. 'This is the story of the Jews', Tarantino seems to be saying, 'but not necessarily the story you have heard previously'. It's a welcome foray into the sometimes marginalised stories of heroism and fighting bravery, as portrayed by Raine's Basterds. Whilst the director has had to face a certain amount of flack recently, most notably for his 'best of', 'worst of' and 'nice try' awards, there is little doubt that he remains one of cinema's greatest devotees. Inglourious has plenty to say on this as well. Clearly, there is a fair amount of warm nostalgia displayed here for the cinema-owner; the independent film-lover with apparently revolutionary tendencies and the willingness to use the screen to shock. Mélanie Laurent's Shosanna Dreyfus certainly does all of that and it is notable that Inglourious ultimately presents the cinema as its most devastating weapon. Perhaps what the film misses in places is the lighter touch Tarantino exuded in his earlier works. There is here, the threat of Reservoir Dogs but little of the humour, inky black or otherwise, of something like Pulp Fiction. The jokes, when they come, are mainly fairly cheap - spot who plays the British general during Archie Hicox' (Michael Fassbender) initial briefing, for example - until the late scenes bring a lot of levity around accents and impersonations. The Basterds too are somewhat anonymous, excluding notable roles for Til Schweiger and Eli Roth, although failing to find the time to add both of these elements in to an already extended one-hundred and fifty three minute runtime is understandable.